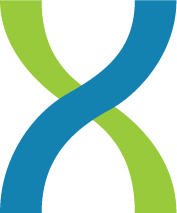 DNAnexus has been awarded a research and development contract by the FDA’s Office of Health Informatics to build precisionFDA, an open source platform for community sharing of genomic information. precisionFDA is a new approach for evaluating bioinformatics workflows, and is an integral part of FDA’s work in better understanding diagnostic tests that incorporate next-generation sequencing (NGS) technologies. As a component of the White House’s Precision Medicine Initiative, precisionFDA’s streamlined approach to evaluating NGS-based diagnostics and creation of reference datasets will build a community around best-practices resources and democratize the submission process to the FDA. The FDA has adopted a community approach to crowd source reference analytical pipelines and datasets for the testing validation process by the community members who will be utilizing them. The DNAnexus Platform will deliver precisionFDA, providing the underlying cloud-based compute and data management infrastructure. In addition, DNAnexus will work with the FDA to build a community around its informatics platform to help drive standards around secondary analysis, the process of mapping, alignment, and variant calling of DNA sequence data. The value of secondary analysis is undermined when datasets and bioinformatics tools are not harmonized for comparison and reproducibility. precisionFDA, with the help of the genomics community will streamline the process for submitting and validating NGS-based tests. Standardization will improve the evaluation process through consistent data quality, increased integration and reproducibility, and improved data exchange with collaborators. Exploring the use of a cloud-based portal, precisionFDA, to create a community around open-source genomic analysis pipelines, reference data, and analytical processing resources. Determining appropriate and auditable levels of security, privacy, and governance control to ensure the protection of collaborators’ intellectual property and protected information, while enabling interaction within the community. Providing an initial set of reference genomic data models and reference analysis pipelines. Independent genomic analysis and data management work areas that can be kept private or shared with owner’s choice of collaborators, the public, or FDA for vetting or validation . As a cloud-based informatics platform, precisionFDA will provide open source reference applications, reference datasets, and cloud-based compute and data management resources for the validation of NGS-based tests. 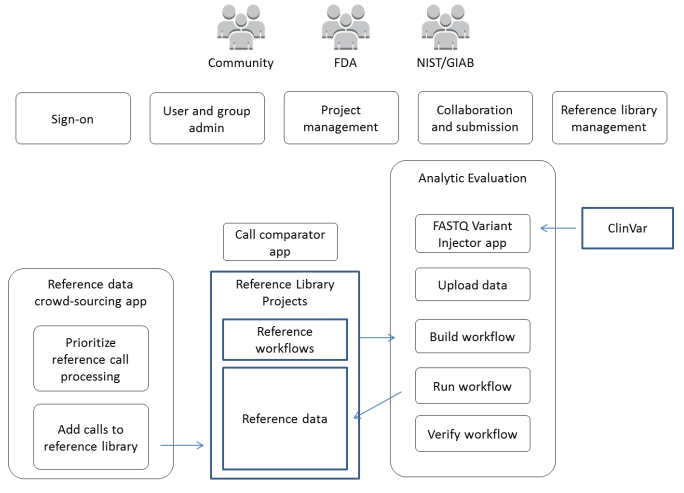 precisionFDA is slated to provide test developers a flexible method for independently evaluating the accuracy and reproducibility of NGS analysis workflows, and to securely share results with collaborators and the FDA. DNAnexus expects the platform to be used broadly by NGS-based test providers, standards-making bodies, pharmaceutical and biotechnology companies, health care providers, academic medical centers, research consortia, and patient advocacy groups. We predict that this new model for evaluating NGS-based tests will open up the process to a broader range of community members, who will benefit from open source reference data and applications and pay-for-use compute and storage resources, leveling the playing field for smaller test developers. We are pleased to share this new and strategically important FDA initiative and look forward to collaborating with the genomics community in shaping this next evolution of precision medicine.